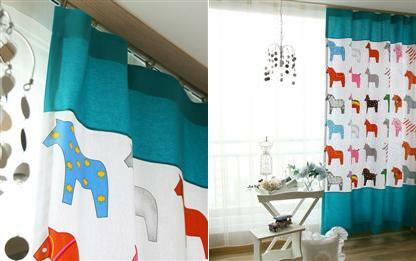 Another colorful and whimsical window drapes for your little one's room. Multi-colored horses are featured in adorable pattern that is certainl to captivate the eyes and the heart of your child. Because of its muti-color pallete, blending this in the existing decor of your kid's room is made easy. You can also make the colors on these drapes your starting point when redecorating your kid's room.